Instant health fund rebates are available at the practice (via electronic claiming) for members of private health insurance funds with appropriate optical cover. We have HICAPS facilities and can process your claim directly here upon collection of your contact lenses or spectacles if you have your card with you. Consultation fees cannot be claimed through private health insurance. The rebates vary greatly depending on which health care provider you are with and what level of cover you have. 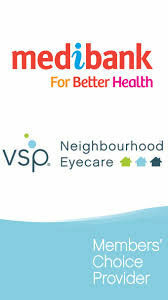 We are preferred providers for Medibank Private & CBHS health funds.